Comment: I would like to get an estimate for pool is sagging and need concrete repaired. Comment: Replace existing concrete driveway with concrete or blacktop. Replace concrete walkway to front porch. Replace front patio/steps to front door (concrete). Comment: Existing concrete and brick porch needs repair. Steps replaced. Comment: Concrete around kidney shaped pool. Area averages about 8â around pool, plus approximately 50 linear ft. of 4â wide walkway. Brick Concrete Contractors are rated 4.75 out of 5 based on 1,306 reviews of 48 pros. 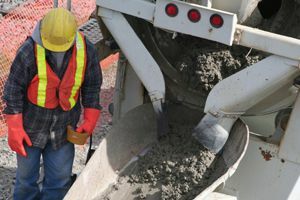 Not Looking for Concrete Contractors in Brick, NJ?